This exquisite 2 piece Sterling Silver salad set was made by Whiting in the lovely Hyperion pattern - date of issue 1888. Both pieces are gold washed so that when a salad is served with dressing the gold wash or gilding helps prevent staining the silver from the acidic dressings. This set is easily used to serve many foods advantageously as well as salad. The serving fork is 9 1/4" long and the spoon is 9 5/8". Together they weigh 6.4 ounces or 185 grams on a postal scale. They are monogrammed with an H and are in excellent condition - a lovely and elegant set! 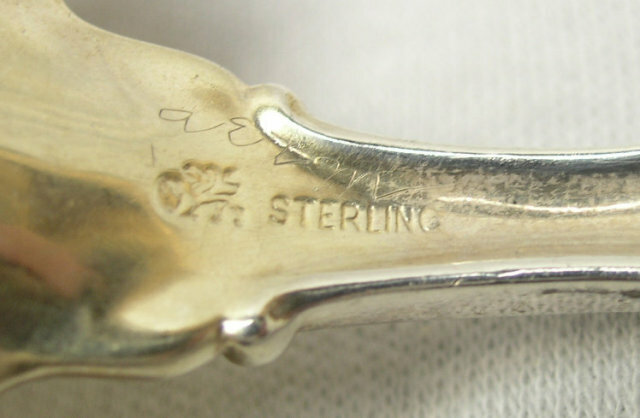 Items Similar To "Whiting Sterling 2 Pc. Salad Set HYPERION w/ Gold Wash"